Tell us a bit about Cushionopoly and what products we can expect to discover? 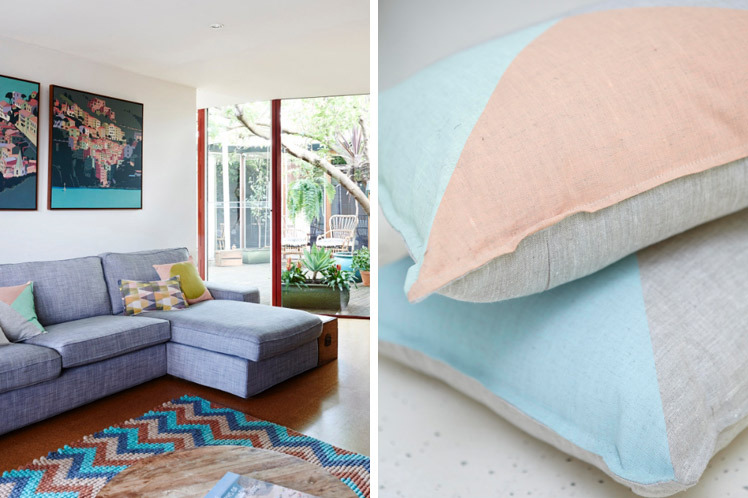 Cushionopoly is all about beautiful and simple products that are handmade right here in Melbourne. 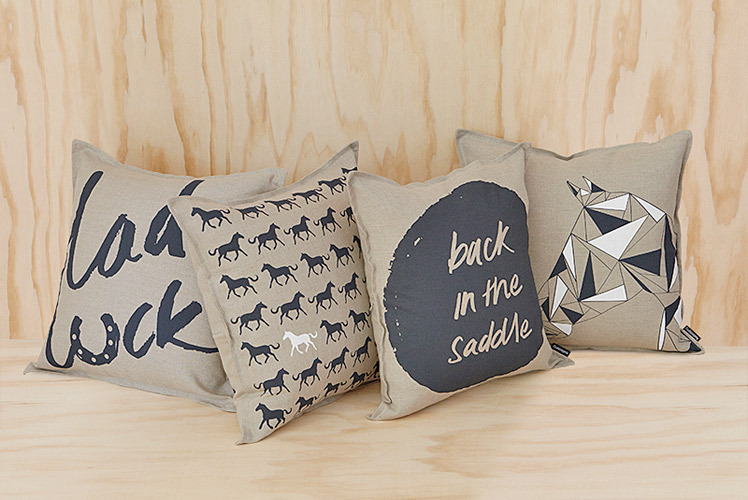 We specialise in cushions that are designed, screen-printed and handmade in Australia. Our philosophy is pretty simple – it is bringing together great design, beautiful natural fabrics with a touch of handmade uniqueness. My pre-Cushionopoly work life has always been quite creative, working in advertising and marketing for various magazines and newspapers and for the last eight years of my last role I sat within a graphic design studio. 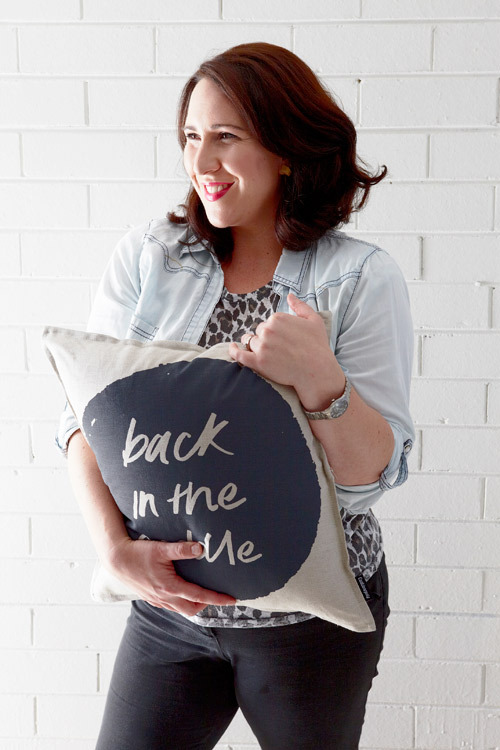 It was after having my son Gus that allowed me to really focus my love of design and textiles and create my own products and give my own business a real go. Travel! I have got to travel to get a fresh take on things and anytime I can get the mind to take it easy I always come up with a million new ideas that I can’t wait to start and pretty much ruin my holiday because I just want to begin – immediately. I can also always find inspiration from music and lyrics, interior design books, magazines, blogs and instagram – there is always instagram! Photography has always been my other passion so I take motivation from getting out and taking photos of anything and everything. I work from a studio space that has been created in my home that overlooks the backyard. It is really a beautiful space with exposed brick painted white and the concrete floor is also painted white. It doubles as a photography studio when it is time to take new product images! There is a big table in the middle of the space in which to create samples for new products and work on ideas for new ranges. You can also find my little dude around the place who likes to come in and “help mummy with her orders”. While sticky taping everything in site! 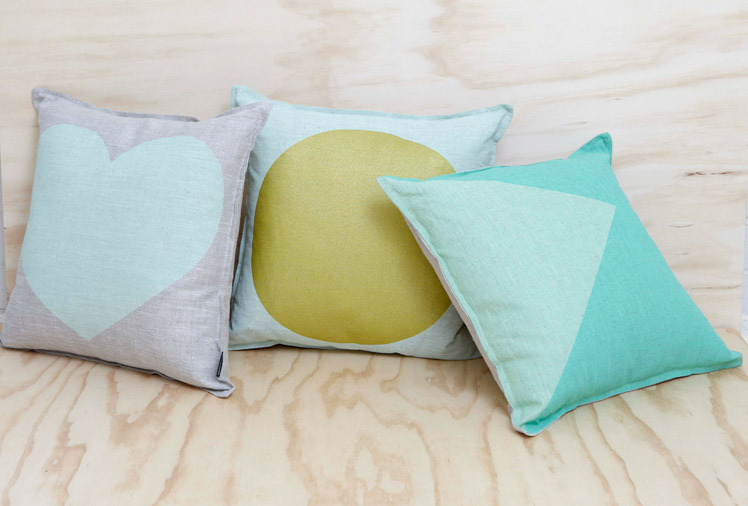 What do you love about working with Screen Printing and homewares? What are some of the challenges? I love playing with colour patterns and get the biggest kick out of seeing my designs come to life. 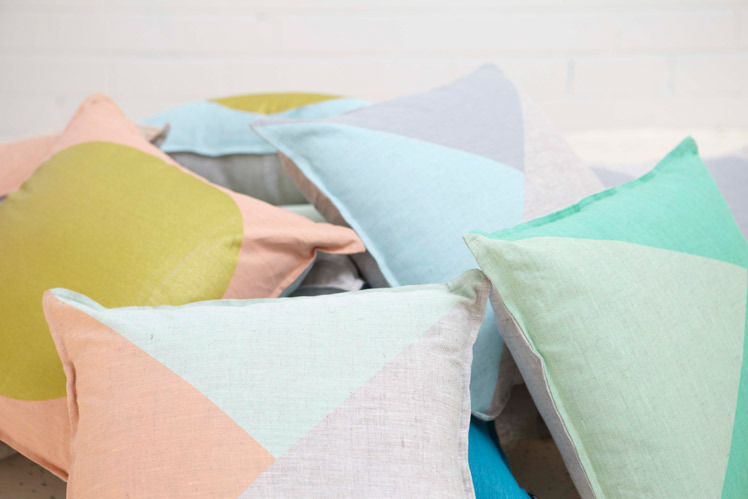 With screen-printing my products slight imperfections do occur, so no two cushions are the same but I see this as adding to the products uniqueness! Some of the challenges would have to be that I have so many ideas of new designs all the time! Also, my impatience to do things and also being a small business means not having the budget all the time to fund my new ideas. I have to be very selective about the products that make the final cut to be printed and made. What new projects are you working on and where would you like to see Cushionopoly in the future? I am working on the next range for Autumn/Winter 2015 which will debut at the trade show Life In style in Sydney in February. 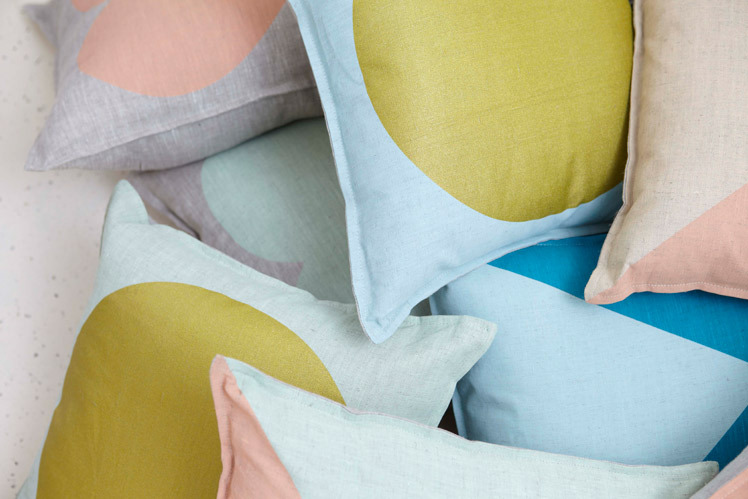 All new cushion designs along with our new linen table ware will be coming out next year which I am really excited about.